You are here: Home / Reading DC Comics / Flash Reading Order – Where to Start With The Flash Comics? 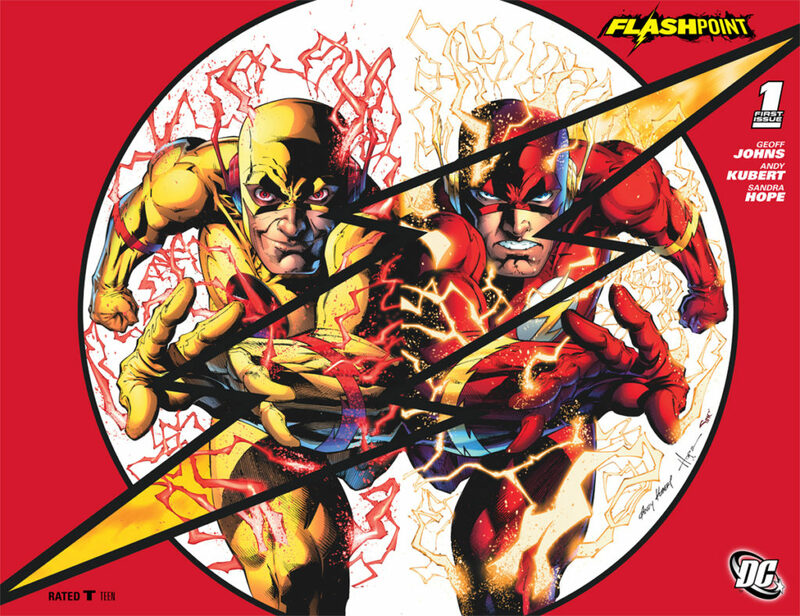 Flash Reading Order – Where to Start With The Flash Comics? My name is Dave the Herald, and I have the fastest Flash reading order introduction alive. Where to Start With Flash Comics? 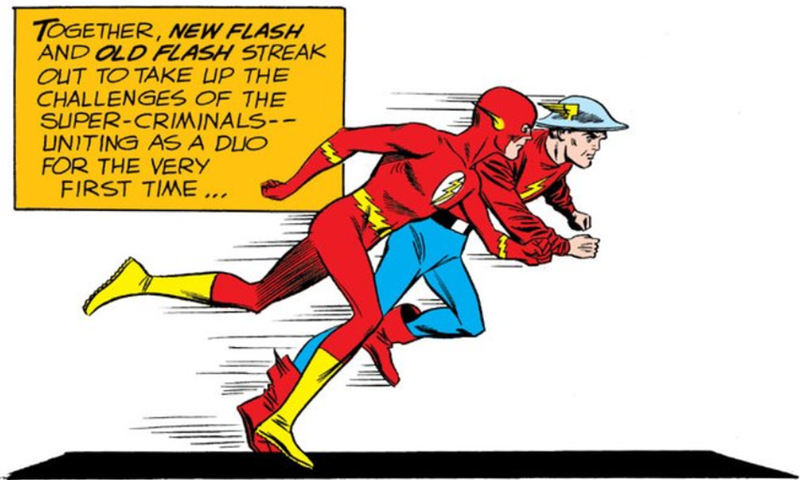 It all begins with Jay Garrick, the fastest hat alive. You can also check out Golden Age Flash’s appearances as a member of the Justice Society of America, in the likes of the All Star Comics Archives below. Enter the era of Barry Allen, the fastest man alive. In 1985, DC Comics launched the largest event in their history with Crisis on Infinite Earths . It’s a fascinating macro-event, with all sorts of continuity and editorial universe mandates, but most importantly for our purposes, it features major ramifications for The Flash. As in, we’re going to need a new Flash. 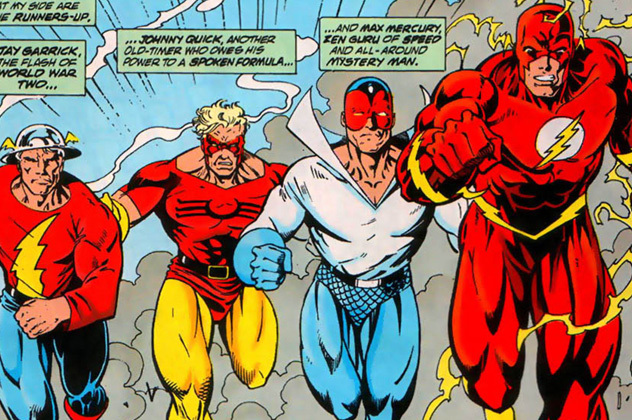 Enter the era of Wally West. It’s worth noting here that there are over 60 issues of Flash comics from 1987 to 1992 that are uncollected, and weirdly almost never discussed. Whereas Batman, Wonder Woman, and Superman saw some of their most iconic comics in the wake of Crisis, Flash wouldn’t reach the acclaimed Mark Waid run until issue #62. You can also enjoy Mark Waid’s run on Flash, now collected in full-size trades from DC as The Flash by Mark Waid Book One. Sums up pre-Infinite Crisis Barry Allen Flash stories. The second expanded trade collecting Mark Waid’s run on Flash releases May, 2017. It will feature the previously uncollected Flash #69 to #73. Note that Flash #74 to #79 includes overlap with The Return of Barry Allen trade collected below! Note that these Flash comics overlap with the “Waid Book Four” collected edition! I’d recommend reading the first 9 issue story arc from Grant Morrison and Howard Porter’s JLA here. Wally is a major player on the reconstituted JLA. If you want more, you can check out the Justice League reading order. Grant Morrison & Mark Millar, two of the most well-known comics writers in the game, put together a co-written 12 issue stint on Flash from issue #130 to #141. While Geoff Johns is now just about the biggest name in DC Comics, his earlier work includes a long, sustained, and generally very solid run on The Flash. Infinite Crisis is a DC Universe mega event penned by Geoff Johns. 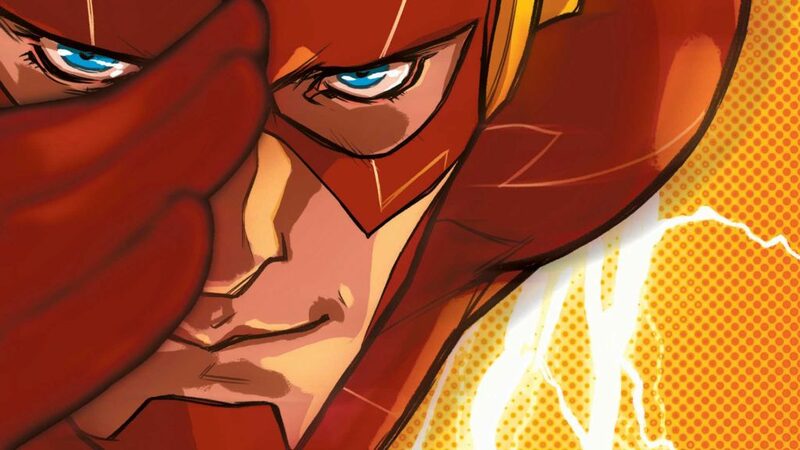 There’s a whole big reading order just for Infinite Crisis, and it’s a pretty major commitment if you’re just here for the Flash. Final Crisis is another mega DC Universe event, and although I’m typically a Grant Morrison fan, it’s currently the second lowest rated comic on my best comics of all time rankings. 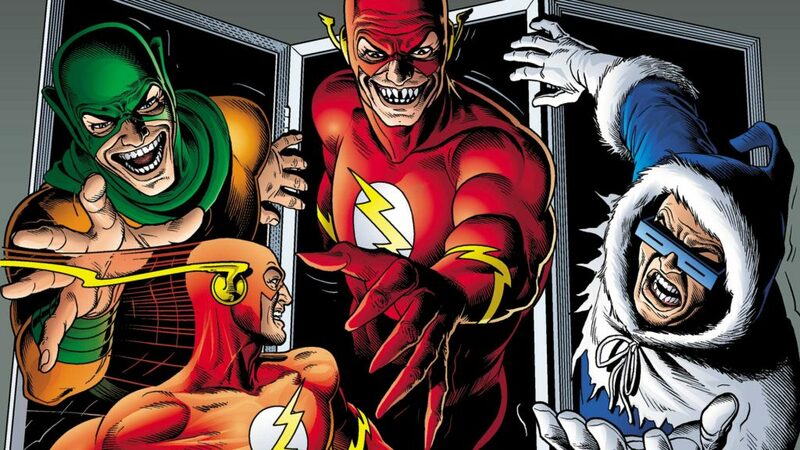 That said, there is a three issue ‘Rogues Revenge’ miniseries which is a good read for the Flash fanatic. Another DC Universe mega event to close out the era, this time penned by Geoff Johns as part of his 2000’s Green Lantern epic. There are some fairly important Flash ramifications here, most notably detailed in the three issue Blackest Night: Flash tie-in. When DC references their long and storied history of classic ‘Rebirths,’ they’re basically talking about Geoff John’s work on Green Lantern: Rebirth with Hal Jordan, and then the next era of Flash on our list. This will lead all the way to Flashpoint, the most Flash-centric event of DC’s 2000’s, and the impetus for the controversial New 52! If you want the full DC New 52 Reading Order, or want to see how each of these Flash issues fits within the New 52 as a whole, check out the full DC New 52 Reading Order! Again, I’d encourage you to check out the complete New 52 reading order if you want very specific placement for all 6 issues of the Forever Evil Rogues Rebellion tie-in comics. At the time of publication, DC Rebirth brings a new status quo for all things Flash (and the DC Universe as a whole). As a matter of (flash) fact, the Flash family is at the center of DC Universe Rebirth #1, in some thrilling and poignant ways. The launch of this entire new universe makes a whole lot more sense if you have this Flash reading order under your belt. You can check out the full DC Rebirth experience with Comic Book Herald’s complete DC Rebirth reading order. Issue of Flash #33 is a DC Metal tie-in! Can you add the different Wally West (new and old) arc’s in here as well? I want to read all the Flash Family comic arcs in order. Cool idea. For now, if you check out Rebirth order look to Titans for Wally! I was just wondering does The Flash: Rebirth (2009) come before or after Blackest Night in the reading order? I’ve seen different things on other sites and wanted to make sure I read them in the right order. Thanks.